Laetitia standing left, holding wreath and cornucopiae. The image below was photographed by Agora Auctions. The image above is my own scan. 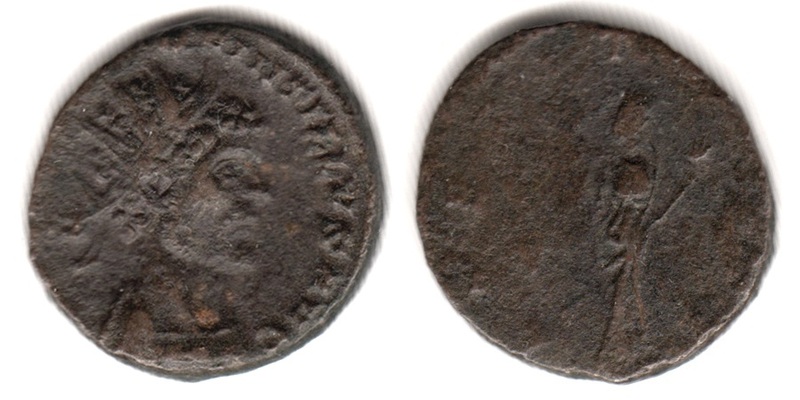 Minted in Roma (Rome, Italy) or Mediolanum (Milan, Italy) in 270 A.D.
Van Meter, D., "Handbook of Roman Imperial Coins", p256, nr 10. 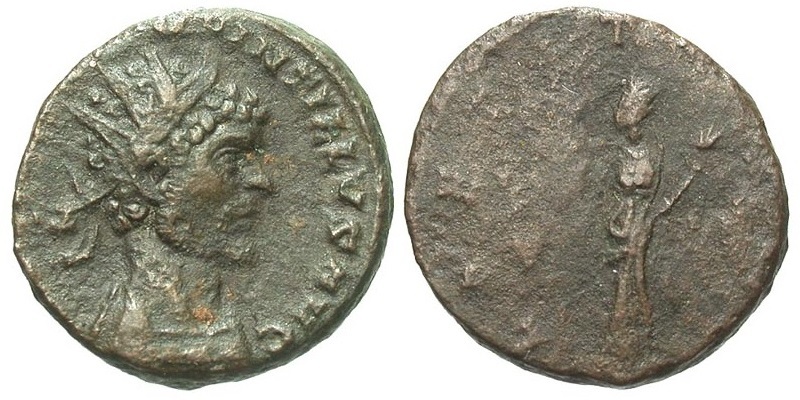 This coin is featured on Wildwinds.com as the example for RIC 64.